Our cement stairs in the front of our house, had some really large cracks were water and bugs could get in. To fix the problem, we removed all the old cement caulk (that was cracking) and removed all other cement pieces that were loose and going to fall out. Then I washed the area and let it dry (did not take long). And this is what we were left with. TIP: The caulk needs to dry before it gets wet, so plan around watering or rainstorms. 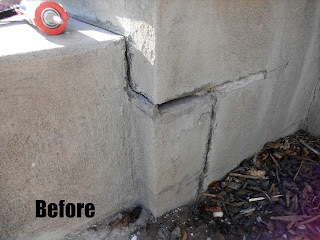 See the big cracks, something needed to be done. 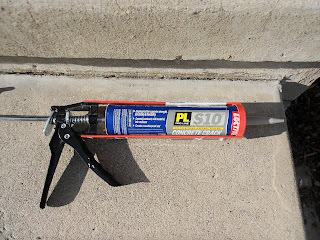 Why use Cement Caulk and not Re-cement? Because stair move with the ground and could crack again, also, costs a lot to do. 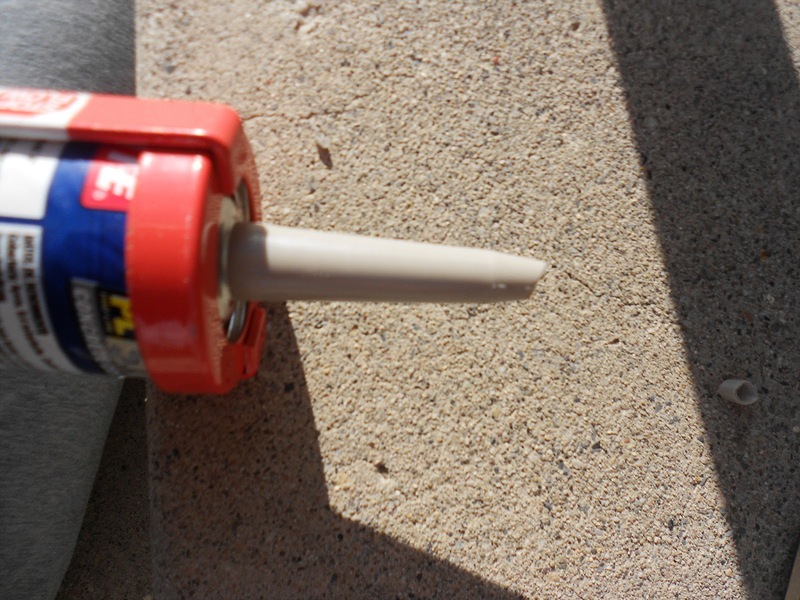 Caulk will move with the stair and hold up longer, also, costs less then $20. 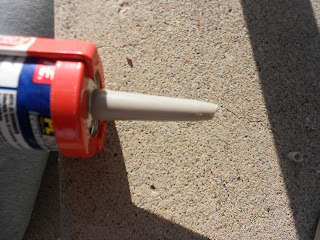 Next you will cut the tip of the caulk and pop the seal inside. 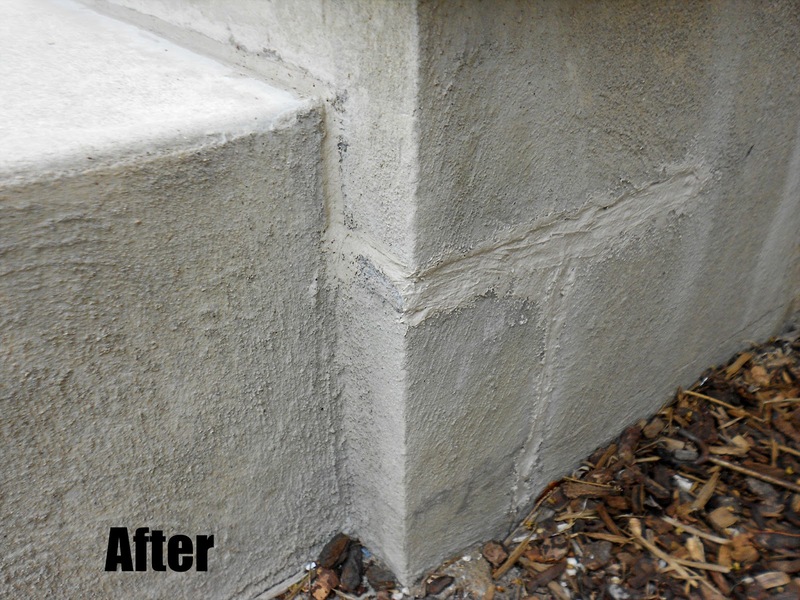 Now start filling in the cracks and smoothing with your finger (your paper towels will come in handy here). 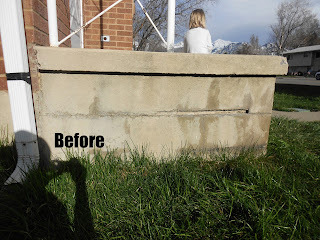 I had to fill the big holes some and then come back after they dried to finish. 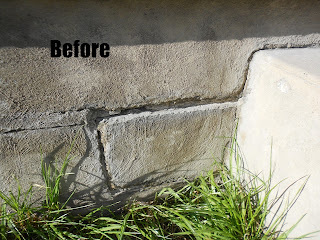 This is what they looked like after I had finished caulking. Not the same color as my cement but it will darken with time. Still not as great as new cement stairs but better then before. 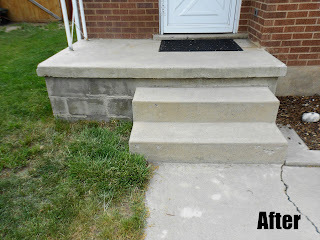 Cost of new stairs ??? but over $500. I think that is a good savings. 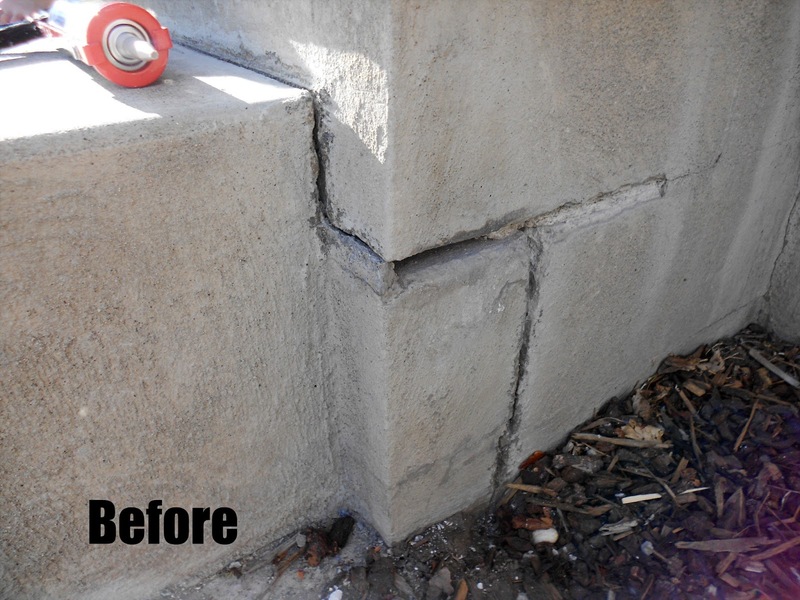 I hope one day to fix that other crack in the cement and fill in the chips in the cement.